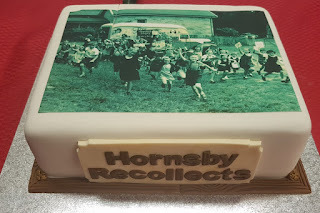 Last night Mr GeniAus and joined several other local history history enthusiasts at a function at Hornsby Central Library where a new interactive online digital resource, Hornsby Shire Recollects, was launched. I was attending as a representative of the Hornsby Shire Family History Group. The database claims to "provide easy online access to a rich store of heritage material relaitng to Hornsby Shire, its people, and events." The three speakers, Hornsby Mayor Phillip Ruddock, Associate Professor Carol Liston and Hornsby MP Matt Kean each spoke briefly about the importance of local history and heritage and then Mayor Ruddock cut the celebratory cake. Reference and Local Studies Librarian, Neil Chippendale, and Library staff member, Karen Richardson, then got to the good bit, a demonstration of this new tool which provides a user friendly platform to access Hornsby's collection of digital resources supplemented with new additions from community organisations and local history enthusiasts. The new platform certainly appeared easier to search than the collections it replaced but I needed to try it out myself. This afternoon I gave the database a run through. Logging on and creating an account was a simple process. Navigating the site was a breeze and the search mechanism was intuitive. I give it a thumbs up. Having heard the presentation and tried out the tool I am keen to add some resources from our family collection to the database. The promotional material for the resource states " you are also able to contribute your own knowledge and memories about the holdings, as well as create personal collections of your own." 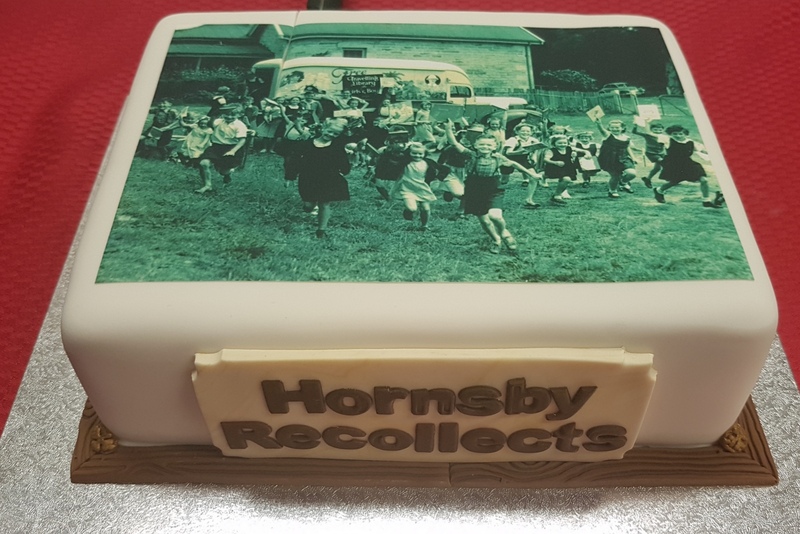 If community members embrace this resource and share the photos and documents they have squirrelled away Hornsby Shire Recollects will be a valuable resource, not just for people from the Hornsby Shire but for many with an interest in Australian history and heritage.